Intended for transportation and fast reload of two Personal Defense Weapon (FN P90) magazines. 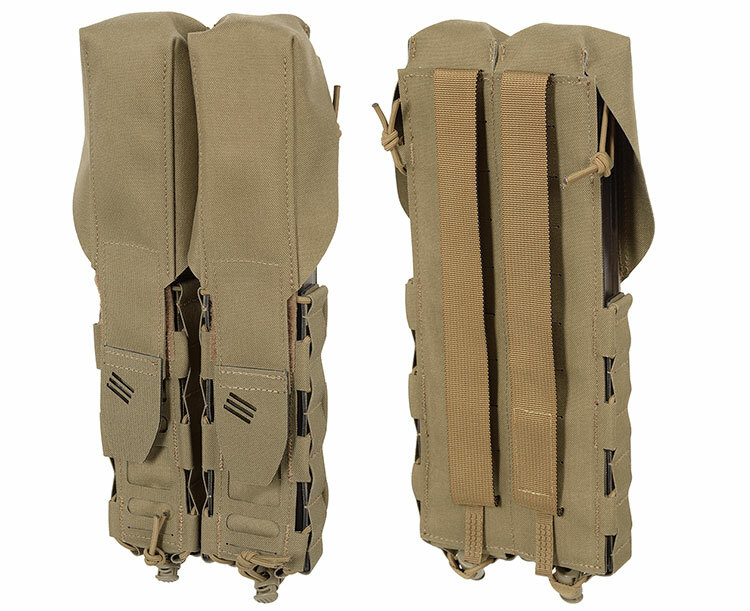 Full lid with hook & loop closure and internal retention cord make it possible to secure the magazine. 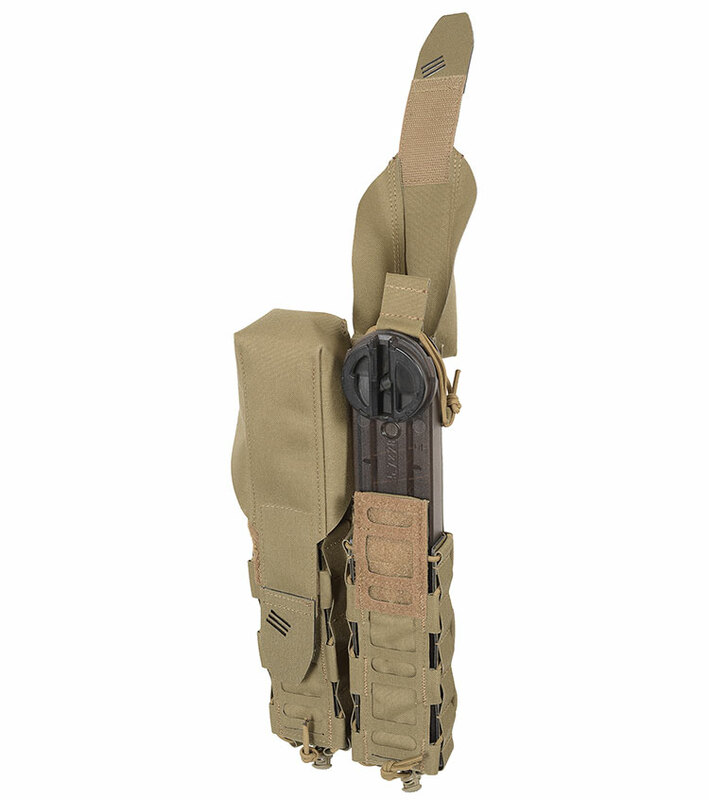 Omega grab-tab and the internal pull tab facilitate quick access and the expandable walls enable the extracting of the magazine extracting the magazines towards the sides or the front from any position. 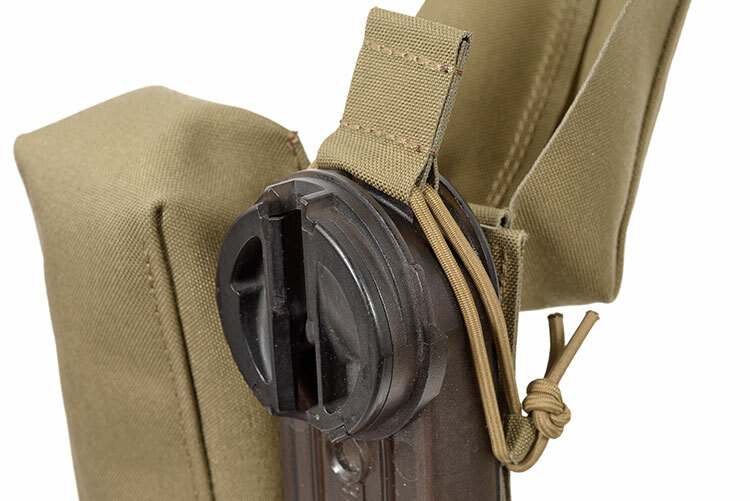 The cordstopper located at the bottom of each magazine compartment makes it possible to compress/decompress the retention. 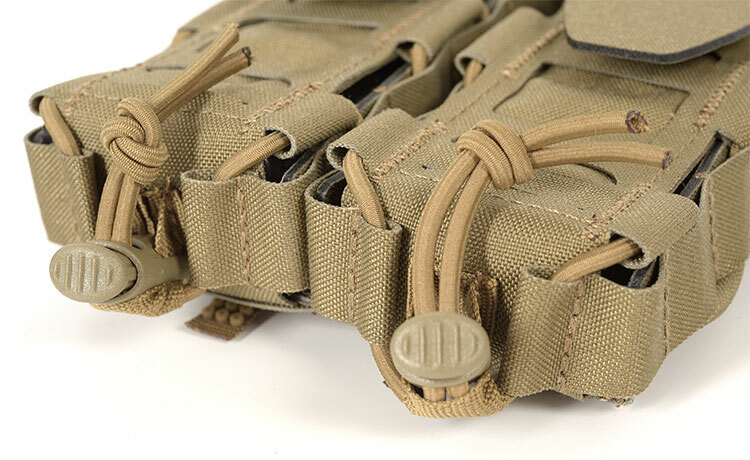 ALPHA Square Attachment Interface on the external face allows for the attaching of additional pouches.